While WhatsApp seems to be the only problem Blackberry users have to do away with another has emerged, in case you miss the update on WhatsApp stopping support for BlackBerry kindly check here. However another widely used application for contacts confirmation and tracking, its not other app than Truecaller. 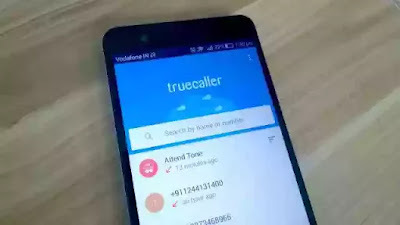 Truecaller also stated that they are ending support for older operating systems which including BlackBerry 7, Nokia Series 40 and Symbian. In the official press released, Truecaller stated they are ending the support of these older operating systems by the end of September 2016. The company made this move because it is inevitable. The world has moved on to newer and better OS such as the Android, iOS and Microsoft Windows 10 Mobile, and it couldn’t support the older version anymore. Just as we will keep telling our BB brothers, you are always welcome to fellowship with us Android users. Lol. What do you think about this move?? do you think there’s hope for BlackBerry?? Bear in mind that BlackBerry itself has moved to Android and is said to release 3 different android smartphone soonest.